Dr. Mario Tokoro of SONY CSL whom I have introduced to you in my posting of August 24 is also a Professor at Keio University (actually he moved to SONY CSL from Keio) and is offering a course on “Innovation” for graduate school students of science and engineering. I was invited to give a lecture at the Yagami campus of Keio University. The audience was about 120 students (master course and doctoral course), and I spent very enjoyable 90 minutes talking to those earnest students and answering to their questions. In the end, as always, I requested them to listen to the 14 minutes’ commencement speech of Steve Jobs at Stanford in 2005. I asked the students to listen and understand this speech by the creator of Apple, iTune, iPod, iPhone, etc. and tell me by e-mail via my website their reaction to it; what they felt or thought. In the evening of that day, I received 4 e-mails. I sent reply to all of them. But after that – none came. After having waited for several days in vain, I telephoned Dr. Tokoro to ask why. He said “I think the students couldn’t believe that an important person like you could really mean what you said.” So, I asked Dr. Tokoro to “Please tell the students to send me e-mails. No need to be shy.” Few days later, a flood of about 50 e-mails came in in two days! Many of them were written in English. I read the mails for 2 nights, sent my response to each one of them, and reported so to Dr. Tokoro. I included Dr. Tokoro in CC to some of my responses since I thought he would enjoy reading them, too. I stayed up for most of those two nights, but well worth it because there were so many things being said, including reactions to my lecture, in those e-mails. Being able to exchange views with the students is also very amusing. About a week later, one student sent me a message saying “Dr. Tokoro said that you responded to all e-mails from the students. But I’m afraid I haven’t received your reply.” I rushed to my PC to check. Yes, I missed just one. It was a fairly long, good writing. I started my response by an apology for overlooking his e-mail. By the way, I write my e-mails in English most of the time. Even to the messages in Japanese, I reply in English. When Dr. Tokoro introduced me to the students, he said “Dr. Kurokawa’s e-mails are always in English” so quite a few students challenged sending me an English e-mail. 1. Writing in Japanese needs converting typed letters to Kanji etc. which is time consuming. 2. If I mistype one key of a word or phrase, I have to repeat all over again for that word or phrase, which is time consuming. 3. In English, the meaning is understood even if I misspell a bit so I don’t have to be too nervous about hitting wrong keys. 4. And most importantly, language reflects culture. In Japanese, ‘vertical’ relations such as titles or positions in society must be considered when deciding how you begin the letter. You must first write some phrase of greetings such as “It’s been long time since I contacted you last time…” and so on (not a short one), to show respect politely. Sometimes when I read those messages, I wonder what their point is. English of course also has many polite ways of expression, but since people are basically “equal” as a person you can go straight and clear into the point without being rude. In a ‘vertical’ society like Japan, one has to be mindful of the social positions of his/her counterpart; superiors vs. subordinates, professors vs. students, etc. In my case, since most of the people I correspond with are younger than me, such as those students, it should be convenient for them to use English because they do not have to worry about greetings or being polite. But I do have an impression that Japanese people are not used to writing in English. My advice is ? ‘just get used to it’. Writing e-mails in English has an advantage of being able to convey your message clearly without worrying much about misspellings. But sometimes your expressions could be too straight forward and there are times when you have to be fairly careful about it. August 20, I came to Okinawa. 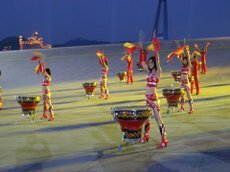 The visit is for the Asian Youth Exchange Program (Ref. 1) that started last year. As I have reported before it is a project of having youth from Asia and Japan spend 3 weeks together in Okinawa. This year, 35 international students (15 nations) and 42 Japanese students (14 from Okinawa) participated. Their age was mostly 15 or 16. This kind of exchange programs should be more actively expanded. Experience of mixing with other young people in their youth is the basis of formation of broad perspectives towards the future and constructing networks of friendship. The whole world sees this as especially important (Ref.1) in this global age and is moving based on this notion. 6 students from the Asia Pacific University who participated as Tutors last year were also present as well as students from the University of the Ryukyus and Okinawa University. But this year, the swine flu spread rapidly in Okinawa including 3 mortalities and when I arrived some participants were taking rests because of fever. My topic was “The Global Age and Innovation”. I was told that there were several sessions on “Water”, and students divided in several groups according to their views had variety of discussions on the problem of “Water”. So, I asked each group what they discussed about “Water” and we had a dialogue along that line. The participants were all very lively and active. I enjoyed being with them. The overall program was full with seminars, transfer to islands, snorkeling, home stay, and so on. Maybe a bit more of free time could have done them good. I do imagine, however, that looking after such active youths must be exhausting! Anand Ivannanto of APU, a participant of last year (who unfortunately could not be in my seminar because of sudden fever), and other university students are voluntarily setting up website and Networks such as FaceBook. I would like to encourage all to spread such activities. I have mentioned this last year too, but the ratio of male and female of Japanese participants was again ‘1:2’ this year. There are much less applications from male students. Why is it so? I wonder. I went to see the site where construction of Okinawa Institute of Technology (OIST) was going on. Grand campus buildings were being built and I look very much forward to their completion. Of course, there will be many obstacles that we should overcome along the way. 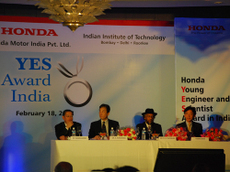 Mr. Nobuyuki Idei is one of the globally active business leaders. I agree very much with his philosophy as well as his view of the time. After retiring from the position of Chairman of Sony, he started a new challenge by setting up a new business consulting/investment firm named “Quantum Leaps” . Many talented young people are gathering there to start new businesses or to support inception of new businesses. His commitment as the great senior of business world is so admirable. 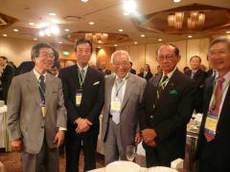 One of Quantum Leaps’ various activities is Asian Innovation Forum which was initiated in 2007. I have the honor of joining in this forum to offer some help. Unfortunately, I had to miss the 2007 meeting but did participate in 2008. A great rise of energy and enthusiasm was felt in the air. This year’s forum will take place in Tokyo on September 14th and 15th. 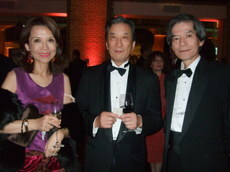 Dr. Hirotaka Takeuchi (Dean, Graduate School of International Corporate Strategy at Hitotsubashi University, also well known in connection with the Davos meeting etc.) and I will participate as senior advisors but most of the plans and discussions will be carried out by young members. We all share Mr. Idei’s vision and the event should be very enjoyable. Search with keywords such as “Idei” or “Takeuchi” in this site and I am sure that the search engine will come up with many “hits”. The forum posted an announcement ad on Nikkei newspaper . I whole heartedly wish that new businesses – driving force for the growth of economy – will emerge from such networks as in this forum. I feel that wonderfully energetic young people; capable of developing “personal” power, open-minded to the world, spreading networks with high speed, are emerging one after another. Each one of them are the resources we need for the good of this nation’s future. They are our hope, and I intend to help them in any way I can. The United Arab Emirates; UAE has a strong relationship with Japan. Dubai and Abu Dhabi are probably the most popular among the cities of UAE. Please search for these cities in this site since I also have had several opportunities to visit UAE since 2007. Especially, Dubai had been the topic of the whole world for its fast growth but now things seem to be halting as if to see the trend probably partly due to the global economic crisis. Among the Emirates, Abu Dhabi is the largest, producing most of the oil of UAE. 50% of its export goes to Japan, and 25% of oil import of Japan comes from Abu Dhabi. Thus, Japan and Abu Dhabi have been building good relationship and Abu Dhabi is known for being a pro-Japan city. Students from Khalifa University (it is a university of science and engineering) in Abu Dhabi visited Japan twice for about a week in a group of about 15 each time. The first group was all female and the second group was all male. I had an opportunity to meet the latter group. I was told that they had quite a full time by visiting Keio University and the research facilities at Tsukuba. Exchanges of young people are very important for the future. They will all be partners in the global world. Most of the students were from UAE, but some came from Sudan Palestine, Lebanon, or Syria. Emirates Airline that uses Dubai as the hub base is famous, but an airline of Abu Dhabi, Etihad is also scheduled to operate in Narita from 2010. At last, we are having the Shugi-in (House of Representatives) election. Dissolve of Parliament by Minister Koizumi of the time, named “Yusei (Ministry of Post and Telecommunications)” dissolve, and the following Shugi-in election which ended up with the sweeping victory of Jimin-to (Liberal Demographic Party) seems just like yesterday. 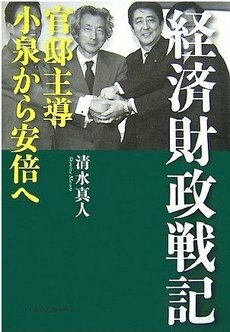 But after this, Koizumi, Abe, Fukuda, and Aso respectively became Prime Minister for one year each, which I assume was somewhat a “strange” period of time perhaps to many people. There are many unclear elements in the background of politics like this, unknown truths hidden behind, but here lies the mission of journalists. Mr. Masato Shimizu of Nikkei published for us the “documentary record” of the process and record of Kantei initiatives led by PM Koizumi, activities of Council on Economic and Fiscal Policy (Keizai Zaisei Shimon Kaigi), and the drama of 3 PMs taking turns after Koizumi. Now the record is a “series of 3 books”. I read through the first book and was very impressed. Shortly after, he wrote another two books in very timely topics. I am very pleased about it. 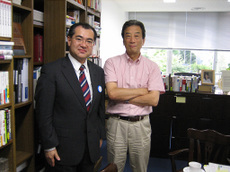 They are records based on careful coverings by Mr. Shimizu on the national politics of Japan ? what happened, who did what, when, how and what are their meanings and impacts. It is always the case that newspapers, televisions, or magazines-because of the limits they are imposed of time and space-are not sufficient to make us fully understand about the politics of Japan. Besides, it takes great effort or almost impossible to try to access to these reports or articles later on. For this very reason, it is so important and valuable for us Japanese citizens to have a journalist, active in that time, publish a timely book on what happened based on his/her coverage in spite of the very busy life they lead. It will be a good record, too. The “Afterword” of his third book illustrates very well the difficulty Mr. Shimizu encountered in catching up with such rapidly changing circumstances. In newspapers and other medias, journalists cover, study, and write articles on his/her own focused fields (but probably most of their works do not appear on the pages due to editing policies the desks have based on the priorities of the news etc.) but I would say in most cases one article is not enough to cover the issue simply because of the transient nature of newspapers, its limited spaces. Of course, there are weekly and monthly magazines, series on newspapers too. And quite a volume of articles are now readable on internet. But still, I would say that it is quite meaningful to have those information gathered, edited, added and published as a non-fiction. Are we capable of making an open minded journalism? This is an issue of consciousness and ethics of organization ? of media relations, journalism. Media is a huge power that bears tremendous responsibility to the society. I am weary and tired of our old, never changing “kisha club”, too. There is no hope if institutions continue to be rigid, or journalists keep on behaving like salary earners. Remember that the whole world is watching. Excuses good for Japanese only will not persuade them. A word "Galapagosnization (Garapagos-ka)" widely spread to refer to Japanese industry that possesses high technology but do not seek to go out to the world; cell phone industry, for instance, being a typical example. We want to liberate the technologies of Japan from secluded management and have them go out to the world. Dr. Natsuno is known as the true Entrepreneur, “Nail that sticks out”, man of ability, a challenger who overcomes failures. He is one of the leaders recognized by the whole world. Dr. Natsuno is also a person who makes you feel good. I sincerely think that we must cheer and support such people.. This is his recent interview (in Japanese). “Uh-huh”, I nod as I read. It is precisely what I think. In my last posting I introduced a book by Fareed Zakaria, but “a brief history of the future ? a brave and controversial look at the twenty-first century” written by Jaques Attali, one of the greatest intellectuals of France today, is equally very powerful and provocative. This book predicts the world in the 21st century by sorting out “keywords to analyze the past and predict how our world will look like in the 21st century” from the long history of human beings. “Laws of history, rules for success are also applicable for future. Understanding them will enable us to predict how the future will be…”. For the Japanese edition, a short chapter titled “21st century ? 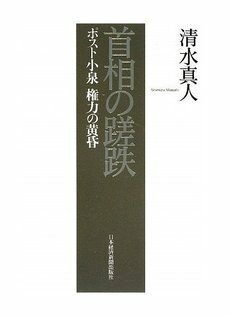 will Japan survive?” is added as well as a chapter titled “Will France survive in the history of the 21st century?” in the end. Anyway, the Japanese edition looks much more voluminous compared to English edition although I cannot read French original to compare. Many of you might have seen the 2 hours’ interview with Jack Atari regarding this book on NHK. It was first published in 2006, but in “The Beginning of the End” of 2nd chapter it says: “Proliferating, excessive, limitless, and out of control, the American financial system requires profitability rates that industry cannot deliver, to the point where industrial corporations now lend their money in the financial sector rather than invest it in their own activities…” and “”Salary-earners are also increasingly indebted, especially in regard to two public corporations (Fannie Mae, second-ranking American corporation, and the fifth-ranked Freddie Mac), which hold or stand behind five trillion dollars’ worth of mortgage loans, a debt multiplied by four in ten years….” (p.98,99) Here, we may say that Attalie predicted the subprime mortgage crisis as the financial panic started in the summer of 2007. Then, the 4th Chapter begins. First, second, and third waves of the future are described. How can I describe the content? Stimulating, horrifying, provocative… I have a feeling that most of them will actually realize. There are many signs even now. I recommend these books in addition to “The Post-American World”. Please keep them in your mind and read whenever you have opportunities. Footnote 1: I also have been pointing out the weakness of “Vertical Society” in a “Flat World” by quoting Latin words “Incunabulum, Incunabula” in number of lectures. For instance, please see my columns 1, 2, or 3.